The Tennessee Titans are expected to unveil new uniforms in April. 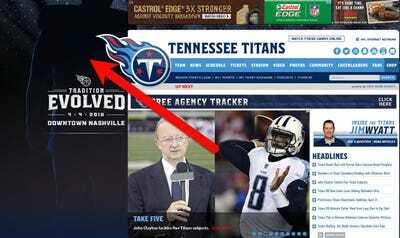 The Titans’ website includes a teaser for the new uniforms. A fan Twitter account discovered a funny hidden message in the image, mocking fans who tried to get a sneak peek at the new uniforms. 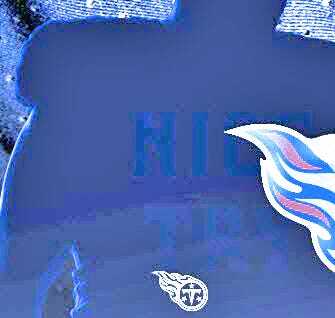 The Tennessee Titans have announced that they will be unveiling their new uniforms during a ceremony, but they also have an Easter egg for fans trying to use Photoshop to get a sneak peek. 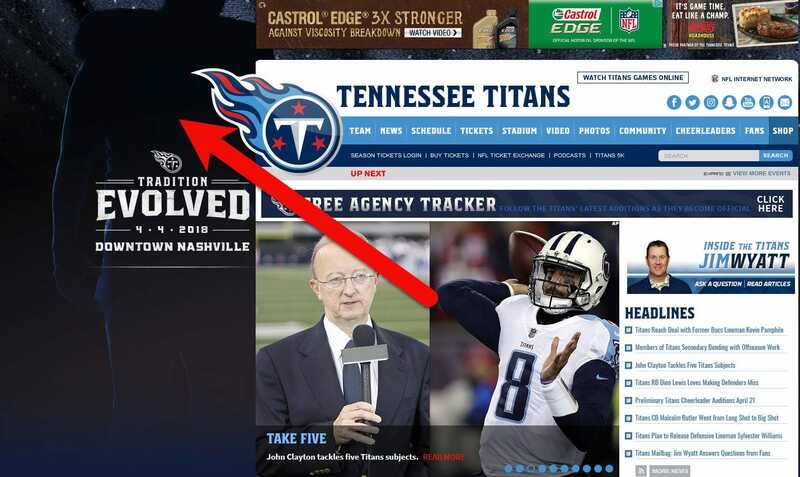 On the Titans’ website, they have a teaser banner announcing the new uniforms unveiling. The image (seen above) includes a silhouette of a football player, suggesting that he is wearing the new uniform. With similar teasers in the past, fans have been able to use tools like Photoshop to enhance any obscured details and get an early glimpse at whatever was hidden. But the Titans were a step ahead of the fans this time. We also played with the image and also found the message. Here is the image enhanced even further. Well played, Titans, well played indeed.